Mass incarceration has allowed the proliferation of for-profit private prisons. These private penitentiaries employ prisoners to labor for free or little pay. Big corporations like Starbucks and McDonald’s pad their bottom line by utilizing this source of cheap labor to manufacture their products. Mass incarceration is a cornerstone of the police state, along with the militarization of police, the construction of the surveillance state, and the War on Drugs. Prison labor reveals a direct line between capitalism and racism. DOJ found that private prisons “simply do not provide the same level of correctional services, programs, and resources,” “do not save substantially on costs,” and “do not maintain the same level of safety and security” as facilities operated by the Bureau of Prisons. The Justice Department said it would begin to gradually phase out its own private contracts — which make up a fraction of private prison companies’ business when compared to federal immigration detention centers. The DHS advisory committee report, released last week, raised similar criticisms of the billion-dollar private prison industry, but was more fatalistic in its conclusions. 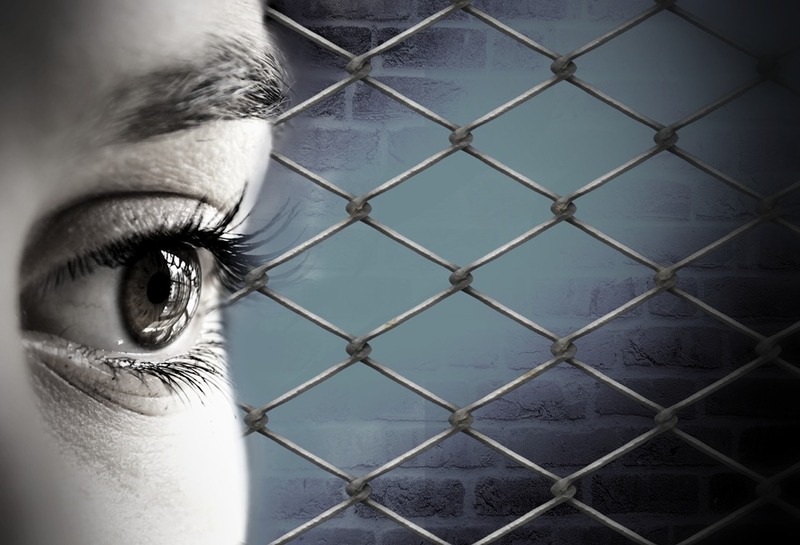 “Fiscal considerations, combined with the need for realistic capacity to handle sudden increases in detention, indicate that DHS’s use of private for-profit detention will continue,” the report concluded. According to Immigrations and Customs Enforcement, the DHS agency in charge of immigration detention, more than 70 percent of its detainees are held in privately run facilities. Earlier this year the average number of individuals in detention skyrocketed to an unprecedented 41,000, and immigration officials expect that number to soon hit 45,000. President-elect Donald Trump has pledged to deport 2 to 3 million immigrants when he takes office. If he plans to do so without violating due process protections, deportations on that scale would cause immigration detention numbers to rapidly skyrocket by the tens of thousands. One of the great ironies of Trump’s xenophobic scare-mongering against immigrants is that deportations have actually hit a record high under Obama. Obama apologists suggest his decision to ramp up immigration was part of a tactic to buffer himself against charges of being soft on ‘illegals,’ while also hoping to signal to Republicans that he took border control seriously and could therefore be allied with to pass sensible immigration reform. Of course, the Republicans chose a strategy of obstruction instead of cooperation, stymied immigration reform, and still proceeded to paint Obama-the-deporter-in-chief as an amnesty-loving squish who wants to fling open the borders to brown people everywhere. And yet, even after Obama’s strategy obviously failed to win him any favor with the Republican Congress, he still continued his aggressive deportation strategy, causing detained immigrants to fill up prisons to unprecedented levels. That’s why the numbers are already so high, and yet Trump promises even more. Hence, the pressure on DHS to continue utilizing private prisons. But regardless of Trump’s immigration policy, there is another factor at play here: climate change. DHS is fully aware of the impending catastrophes, conflicts and resource shortages that will spark mass migrations around the world. The climate refugees will make the Syrian refugee crisis seem insignificant in hindsight – and yet the chaos in Syria has been enough to destabilize the governments in Europe, empower right-wing nationalists in the west, and enflamed the xenophobia which led to Brexit and the election of Donald Trump. In fact, the Syrian migrants are actually the first climate refugees. As more and more people are displaced by climate change and the resource wars it fuels, the need for the developed nations to detain undocumented immigrants will only worsen. Since non-citizens are not entitled to constitutional protections, these people will suffer injustice after injustice as they are crammed into crowded penitentiaries that even the government admits is inhumane, and are ultimately deported back to countries that have been ravaged by the climate wars. And the ultimate irony is that the world’s richest people – the capitalists and the consumers – are the ones responsible for climate change, and yet the world’s poorest indigenous peoples will suffer the most. When they reach the doorstep of the nations responsible, they will be met with jackboots and private prisons backed by xenophobes who will blame the refugees for the instability created by the establishment.